It’s been fifteen years now since I first came to the islands of Bocas del Toro Panama. The last five years that I have lived here full-time have gone by in a whirlwind of waves, sand and scenarios that make me wonder how it was ever possible to cram so much into such a short space of time. Recently, I was asked “So what’s it really like?” An open question that comes in many different variations and levels of interpretation. But whatever form it takes, I know that it always makes me pause a moment to be truly objective and look closely at the reality of my life at this time and in this place. As I reflect on my journey that brought me here to these tropical islands so far from my country of origin, I am always struck by how different things might have been and what a contrast my life would probably be if it were not for a few key decisions and the timing of several life-changing influences in my world. I suppose my dream of tropical paradise with sand beaches, warm waters and a relaxed lifestyle was pretty much in line with most of us who fantasize about “living the dream”. But for years I was a top competitor in the rat-race for “freedom”. Always exploring and searching for the perfect place, time and circumstances to allow me to finally achieve my dream of ‘sails in the sunset”. But at some point, I realized that I had created a cage and locked myself in. Fortunately for me, I kept the key inside my heart and when I finally became conscious of the fact that the only thing left between me and my dream was the Lady in the mirror, I broke free. It was not entirely easy or without challenges but I had wonderful friends and family who supported me and encouraged me along the way. With each step, I became more and more assured that I had made the right decision. I had no idea how liberating it would be to get rid of all the “stuff” I had collected over the years. I resolved to make some financial and lifestyle changes that further relieved my level of stress. Finally I made the leap and left my old life behind for a new dream in a new place. And that is why I find myself living in this Caribbean tropical island paradise off the coast of Panama. The major decision to leave established lifestyles and comforts for the insecurity of a new beginning is easier for some than for others. For most of us, the thought that separation from family and friends is frightening. For me, I knew that I loved my family and friends in the US. I knew that door would never close and as long as I maintained a good level of communication and the ability to make return visits once or twice a year, I would be happy and secure in my new life adventure. Inevitably, I found a few things to be remarkably different and challenging at times. Things move at a lot slower pace. The inconsistencies of regulatory agencies and enforcement of regulations can leave you with wall marks on your forehead. The availability of quality in any category of goods is random at best. Often you can buy the tool but not the batteries or the attachments that make it useful. Manual labor is readily available and very inexpensive but “skilled” labor here goes by a very different qualifier. But even with all the challenges, eventually it all comes together and works in a rather rag-tag sort of way that is somehow charming in its naive innocence and certainly keeps one on their toes and “entertained”. There is never a lack of “ you’ve-got to-be-kidding” tales to be told. So, am I happy in my new life? Again the answer is a resounding “Yes!” I love what I do. I love the people around me. I love the rain as well as the sunshine. The water is warm and ever inviting, There is a beautiful balance of beaches and mangrove waterfront. I live comfortably at a reasonable cost with every modern convenience available to me in some form. 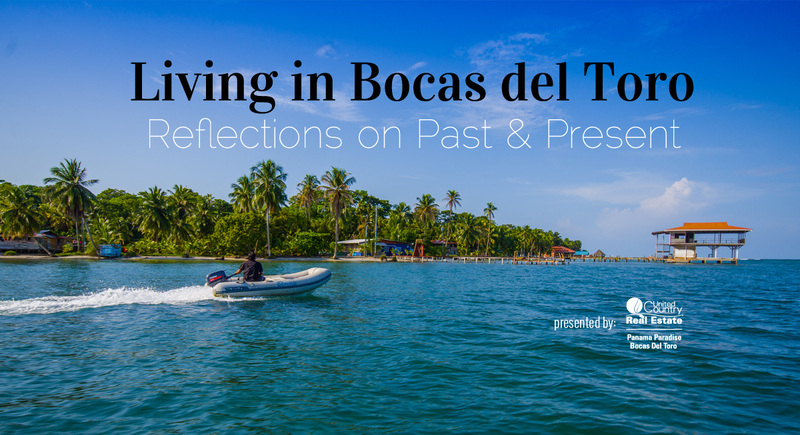 I am very happy with the choices I made that allowed me to break away from my old life and find my personal adventure in Paradise on this island in Bocas del Toro. I choose this unrefined and out-of- the-way tropical, island archipelago because it was comfortable and affordable for me and because this quirky, little off-beat community might just be lucky enough to grow slowly enough to retain its charm and casual nature for a while longer. And, yes, I would do it all again if given the choice.